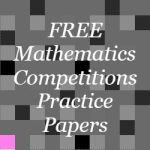 One of the stated aims of this Gifted Mathematics website is to publish practice papers modelled on mathematics competitions throughout the world. I am pleased to announce that the first such paper has now been published. This new paper is called a Mini Practice Paper as it is about half the length of a full paper. One advantage of this is that it can be used within a whole classroom period without having to edit it down. However, it has the same proportion of easier and harder questions so should be challenging for most students. This paper is aimed at what we call Lower Secondary, so is roughly equivalent to the American AMC8 papers and the UKMT Junior Mathematical Challenges. It is therefore suitable for students in about the age range of 11 to 14 years old, but younger gifted mathematicians should find plenty to enjoy too! The Mini Practice Papers are free and will be stored on Dropbox for now. 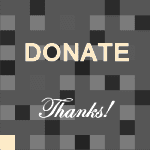 You can join Dropbox here for free. Once you join Dropbox you can synch your account with our Gifted Mathematics Free Resources and you will automatically receive new files as they are published, plus updates to any existing files that have been edited but have not changed their filename. The answers, solutions and extension problems have now been published and are available for free download here. Similar papers for Middle and Upper Secondary are coming soon! Please feel free to leave any feedback below in the Comments box run by Disqus.